You can easily utilize designer temporary tattoos if you want to change your look without spending an exorbitant amount of money or permanently alter your skin. This form of body art will let you experiment painlessly with multiple designs, and the modern version of temporary tattoos has been created to look like the real thing. In fact, you can even get custom temporary tattoos from some of the best designers in the industry to help you determine whether or not you want to get the design inked into your skin. An advantage of having tattoo sleeves fake vs. real is that you can change your look as often as you want. 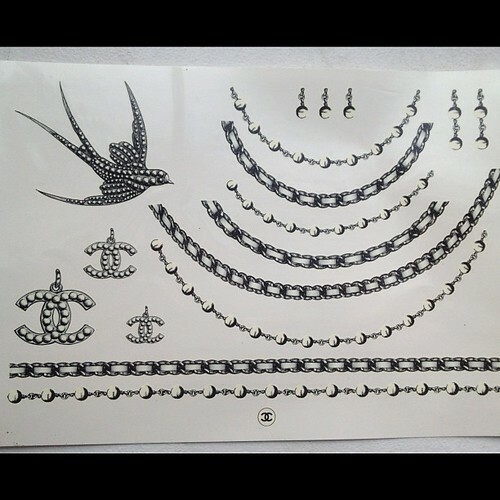 You can easily purchase temporary tattoo sets at fashionable stores, and you will also find a wide selection online. However, if you want a specific design, you will need to connect with a designer or tattoo artist. Fortunately, there are websites that have been created for this exact purpose, so it is easy to find someone who is qualified to bring your idea to life. How do Temporary Tattoos Work? Once the artist has your design, they will use FDA approved ink to place it on a thin sheet of backing paper. The design will also be covered by an adhesive material to help it stay on your skin. The backing paper will have a silicone release coating on the side with the tattoo to allow it be transferred to your skin. The final piece is the transfer film that goes over the silicone release coating to enable the image to slide off of the paper when you get it wet. If you have ever helped a child apply a temporary tattoo at a birthday party, then you know how the process works. Even though the adult version of these tattoos looks much more realistic, they are applied in the same manner. All you will need is the tattoo, water, a paper towel and the designated amount of time. Most tattoos transfer in 60 seconds or less, but it is always important to read the directions to make sure that you do not inadvertently mess up the design during the transfer process. Temporary tattoos will wash off within two to seven days. However, once the image starts to fade away, you will probably want to hasten its removal. Therefore, you can scrub the area with soap and water, use Goo Gone or put olive oil on the tattoo and rub the area vigorously with a paper towel. Everyone wants to change their appearance sometimes, and designer temporary tattoos will let you do this easily and without any pain. Additionally, you can try out any design that you have in mind, and this can make it much easier if you decide you want a permanent tattoo. You can also use temporary tattoos in place of jewelry, and many people even utilize them to advertise their company’s products or services. Tara Banks is a professional writer in Atlanta, GA who enjoys writing about fashion. Tara is very fashion forward and contributes to informing others about the latest styles and fashion trends. She believes having tattoo sleeves fake or real can be a stylish and unique way to express yourself.